This combination unit indicates the inside and outside temperatures and the indoor humidity. 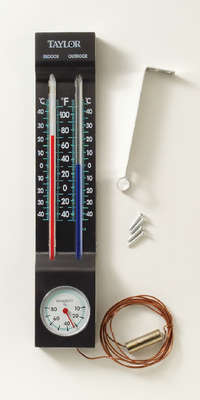 The outside thermometer is connected to a remote sensing bulb by armored tubing. Contains red fluid. Measures 24 cm x 6 cm and includes mounting hardware.